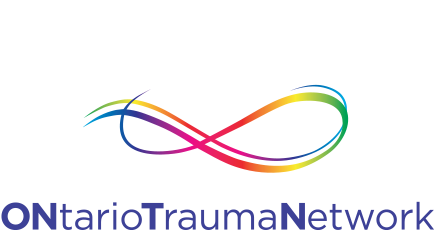 ONTN - ONtarioTraumaNetwork - Arlene Anisman Psychotherapist M.Ed., RP, CCA, DCEP located in Toronto, Ontario, Canada. Arlene has been in the counselling field for over 40 years. In addition to her private practice, her employment history and experience includes working in a hospital- based Sexual Assault and Domestic Violence Care Centre for 7 years, as well as providing counselling and conflict resolution/mediation processes with various Toronto agencies. Arlene believes that everyone is resilient, capable of change and able to feel happy. Arlene’s client-centred approach has always been to empower and help you to have happy, healthy and fulfilled lives as you achieve your goals for physical, emotional, mental and spiritual wellbeing. Arlene sees therapy as a personal opportunity, a chance to reconnect with yourself, learn from the past, and grow and heal in order to feel good on a regular basis. Arlene believes that psychotherapy makes it possible to transform fear, trauma, low self-confidence, as well as self-destructive habits and limiting beliefs. It does this by helping you to understand your thoughts, feelings, physical sensations and memories to discover what are the blocks for you right now, and how to change this. Arlene offers psychotherapy from a holistic perspective including mind, body, and spirit and works with people of all ages, from adolescents to seniors. She specializes in working with issues of sexual assault, sexual abuse, self-esteem, conflict resolution, alcohol and substance abuse, eating disorders and family of origin work. Arlene is a Registered Psychotherapist (RP), with a Master of Education (M.Ed.) in Counselling Psychology and Adult Education, a Certified Clinical Aromatherapist (CCA) and a Diplomate in Comprehensive Energy Psychology (DCEP). Arlene is also a Certified EMDR therapist, a Certified Trainer and Practitioner in Advanced Energy Psychology (AEP), with additional training including Emotional Freedom Technique (EFT), Redecision Therapy, Ego State Therapy, Narrative Therapy, expressive arts, Hakomi, mindfulness, Cognitive Behavioural Therapy (CBT) and Dialectical Behaviour Therapy (DBT). 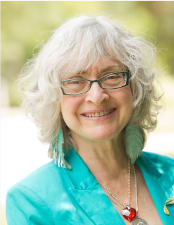 Arlene also teaches workshops and training in AEP Energy Psychology and has presented at professional conferences on trauma, sexual assault, panic attacks, and self-care combining Energy Psychology with therapeutic essential oils, as well as providing conflict resolution processes for groups and organizations. Arlene continues to expand her knowledge and skills by attending professional development and continuing education events, workshops and conferences.